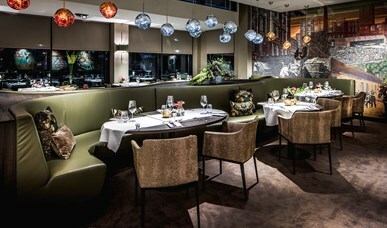 Enjoy restaurant advantage at Hotel Assen! 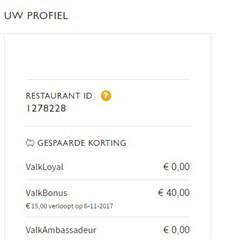 On presentation of your unique Restaurant ID number, you can enjoy the cheapest offers in our restaurant each month, only with your Restaurant ID. Click here for an overview of the participating restaurants. Curious? Read below how the Restaurant ID works or sign up directly. Do not have a Restaurant ID yet? Then sign up and receive your unique Restaurant ID number to use the member only offers. Do you already have a Valk Account? You can find your Restaurant ID number in your account dashboard. With your Restaurant ID number you can use the special offers. Do you always want your number at hand? Then download the Valk Exclusive app! Is it not possible for you to use the app? Of course you can also visit our website. Log in with your Valk Account on the website and navigate to your overview. You will then arrive at your hotel dashboard. You can find your personal Restaurant ID on the right-hand side of the screen. You have your Restaurant ID always at hand with the Valk Exclusive app. The app is free to download and can be used with your Valk Account. You can find your personal Restaurant ID number in your account. 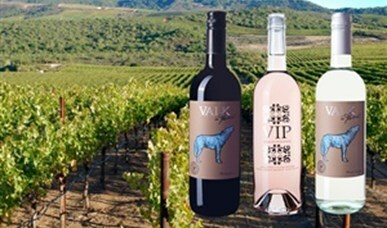 Download the free Valk Exclusive app below. With the Diner Deal you can eat out for the lowest price in one of our many Valk Exclusive restaurants. The Dinner Deal consists of a 3 course dinner for only € 29.95 per person! 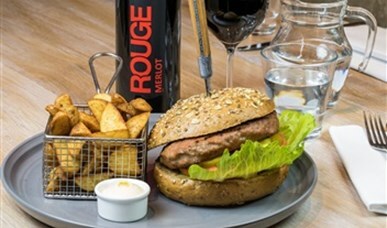 In March & April you can enjoy a delicious burger with your Restaurant ID! To avoid disappointment, you can reserve in a Valk Exclusive restaurant of your choice. The wines below can be ordered in whole 2018. In September and October you can enjoy a delicious gamba paste with chili cream sauce and coriander for only € 15.50 per person. In November & December you can order Hare pepper with red cabbage and potato curry for only € 16.50 per person!